This picture is great. 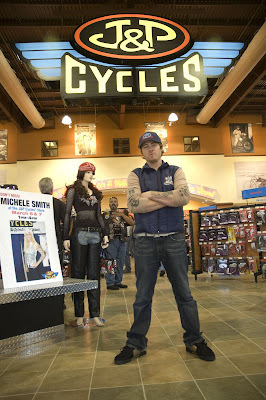 Roland at J&P Cycles next to a Michelle Smith poster, a mannequin wearing chaps and a guy in the background in complete shock of the whole situation. You could be there too… Come see us this weekend.